Our Winter 2018-2019 newsletter is now online in PDF format and you can read it here. 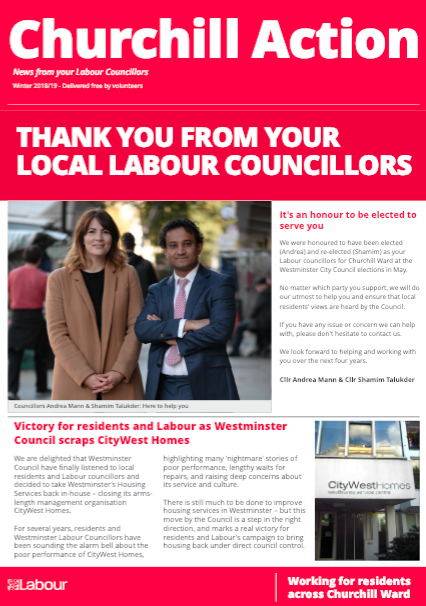 Our newsletters are hand-delivered by volunteers throughout Churchill Ward. If you are a Churchill Ward resident who has not received one and would like to, please contact us with your address at info@churchilllabour.co.uk. Please also just get in touch at the above address if you’d like to help with our deliveries!